Japan’s public broadcaster, Nikkei Asian Review has reported that Honda, a major automobile manufacturer, has halted the development of the famed humanoid robot “ASIMO”, as it plans to focus on the development of practical robot technology to use in areas such as physical therapy and self-driving vehicles. For those unaware, ASIMO (Advanced Step in Innovative Mobility) is the first bipedal walking robot that was created by Honda in 2000. The seventh iteration, which also happens to be the most-recent model appeared in 2011, measuring 130cm tall with a weight of 48kg and a walking speed of 9kmph. It maintains its upright posture and balance through the use of multiple sensors that study the surroundings, which allows it to shake hands, wave, identify moving objects, and interpret voice commands. Over the years, the shriveled spaceman went on to become arguably Japan’s most famous robot, be it playing football with Obama in 2014, or dancing for Merkel in 2015, or taking a selfie with Australian Prime Minister Malcolm Turnbull the same year. 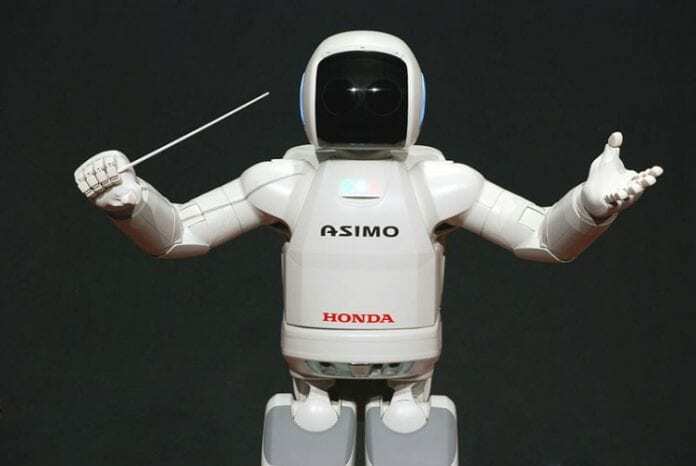 However, on Thursday, Honda said that it is scrapping future generations of ASIMO. “We will still continue research into humanoid robots, but our future robots may not be named ASIMO,” Honda spokesman Hajime Kaneko told AFP. Honda is planning to use the robot’s underlying technology in a hose of other products that could one day see commercialization. “We have obtained lots of technologies while developing ASIMO, and how to utilize them is one issue,” Kaneko said. According to the Japanese publication, the automaker is developing a physical therapy rehabilitation device using ASIMO’s walking technology, which through the use of motors moves legs and helps them efficiently push off the ground for elderly or disabled patients. Further, the systems used to control ASIMO’s movements are also being used in self-balancing motorcycle and self-driving cars. The way things are it doesn’t seem that Honda is giving up on robotics overall. According to Nikkei Asian Review, ASIMO’s core development team was recently reborn as R&D Center X, which will lead company’s robotics strategy.